Twitter doesn't need to generate revenue yet, co-founder Biz Stone says, because they are still holding onto the $55 million in venture capitalist funds. 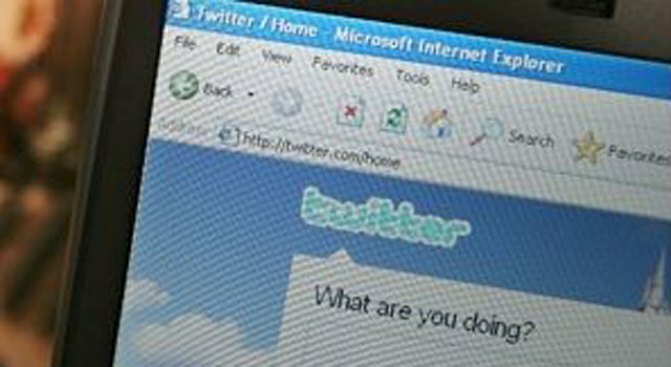 Twitter Inc.'s founders still haven't decided how to cash in on their popular Internet messaging service -- to the delight of a rapidly growing audience. But the deliberate approach may not prevent a gold rush among opportunistic outsiders. Lolplaying, the maker of a new role-playing game on Twitter called 140 Mafia, is trying to explore Twitter's moneymaking potential with Super Rewards, a "virtual currency" service that already has been reaping revenue from various forms of online recreation. The alliance was at the Social Gaming Summit 2009 in San Francisco. Super Rewards gives players of online and mobile games ways to gain the upper hand against their opponents. The price: a fee, or a willingness to accept offers from advertisers. It's already proven to be a lucrative model at Facebook and MySpace, as well as on the iPhone. Now Super Rewards co-founder Jason Bailey is confident it will pay off on Twitter as 140 Mafia attracts more players. He already is impressed with the results since Super Rewards quietly began selling extra points and additional powers to "tweeple" this month when 140 Mafia's text-based take on organized crime made its Twitter debut. "I'm already making more money from Twitter than Twitter is itself," Bailey boasted. And Bailey figures other programmers who have designed games and other applications for the service will be scrambling to capitalize on their innovations. If that happens, Bailey thinks Twitter will need to impose more controls over the external applications and perhaps even demand a cut of the sales -- an approach that Apple Inc. has embraced for its iPhone. Twitter co-founder Biz Stone didn't respond to a request for comment. He has previously emphasized the San Francisco-based startup doesn't need to generate revenue right now, partly because it still has most of the $55 million that it raised from venture capitalists. Super Rewards doesn't need any venture capital, according to Bailey, who said the 40-employee company is on pace to reach $100 million in revenue this year. Super Rewards shares some of its revenue with game makers. Most people pay Super Rewards about $10 for a competitive advantage, but some game players have forked over thousands of dollars, Bailey said. "It's all about ego and status for them," he said. "Clearly, some people have more money than brains."